Product prices and availability are accurate as of 2019-04-14 11:10:05 EDT and are subject to change. Any price and availability information displayed on http://www.amazon.com/ at the time of purchase will apply to the purchase of this product. VSX-42 7.1-Channel Network Ready AV Receiver Featuring Compatibility with AirPlay', iPod', iPhone', iPad', HDMI' with 3D and ARC, and 1080p The VSX-42 delivers stellar home theater performance, bringing the latest technological advances in an elegant package. 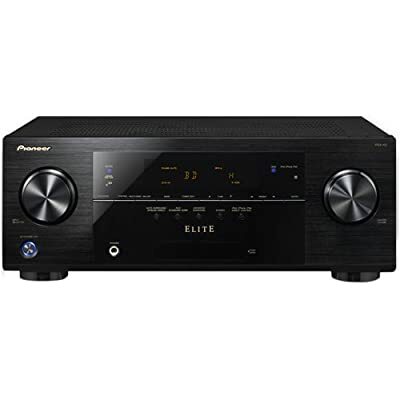 With 560 watts of clear audio reproduction, the VSX-42 gives you connectivity options for your latest high-definition home theater components, and digital 1080p video from any source.